Statement bead necklaces are a must-have bridal fashion accessory of every Nigerian bride (and groom) who is preparing for her traditional marriage/ engagement ceremonies. Wedding guests wear beaded neck chains to complete their aso-ebi look. In this post, you’ll find pictures of over 60 Nigerian handmade bead necklace ideas – from Nigerian and African coral beads, edo princess-style wedding coral beads, bead necklaces men and more. So, play the video below to see pictures of the latest beads designs stylish Nigerian women wear to occasions and events. After the video, you will see a list of places to buy the types of jewelry beads photos we featured. Beaded jewelry is more or less a huge part of the culture of most Nigerian and African tribes – you’ll see bead necklaces worn by both men and women, to occasions and traditional events. When worn on traditional African ethnic attires such as fabrics as laces, ankara prints, george and more, the beaded jewelry makes a bride or any occasion celebrant appear royal, and also makes celebrants look look elegant. in beaded necklaces worn on traditional African attires made out of such ethnic fabrics as laces, ankara print styles, george wrappers and more. On NaijaGlamWedding HQ here, we often encourage brides to first get wedding fashion shopping ideas from pictures in a catalogue, magazine or website – it helps to narrow down your choices before ever hitting the shops. The Nigerian bead necklaces for traditional wedding / engagement ceremony has gone beyond the simple, long red coral bead to assorted designs, styles and colours, as you can see in the pictures above. And, we like that they are looking more exotic, with lots of choices for Naija brides. The Nigerian beads are even loved by women of other African countries. Nigerian handmade beaded necklaces come in many different designs and styles: some are plain strings of beads without any additional embellishments, while others are designed with additional details using brooches, pendants, gemstones or even (Swarovski) crystals. These kinds of details make the African and Nigerian handmade beaded jewelry look more authentic and visually attractive. Like any type of necklace, bead necklaces can be found in different lengths – short/ choker and long bead strands. They are also made in many different, beautiful shapes. Traditionally, the red coral bead used to the one of the most popular bead jewellery for the Nigerian traditional engagement/ marriage ceremony. Today, we are seeing a lot more Nigerian beads in diverse materials such as: pearl beads, glass beads and crystals. While the non-coral beads are fast gaining love from the Nigerian women, it is obvious that the classic, red coral bead is going nowhere – still widely used as the edo wedding coral beads, which some like to call the ‘princess beaded dress’. Oh, I almost forgot the plastic beads. Yes, those ones are a lot more affordable than the other types of bead jewelry, and if you comb the markets or ask around, you’re sure to find some pretty good designs in plastic beaded necklaces you can wear to a wedding or any other occasion. So you see, no matter your taste and budget, you’ll find the right bead necklace, within your price range, for your Nigerian traditional wedding – be sure to use the pictures in the video above, to develop your own wedding bead ideas, before you go shopping. Go here (click) to see our bead-making for beginners tutorial videos. Towards the end of that page to see where we listed places where to get bead-making training. 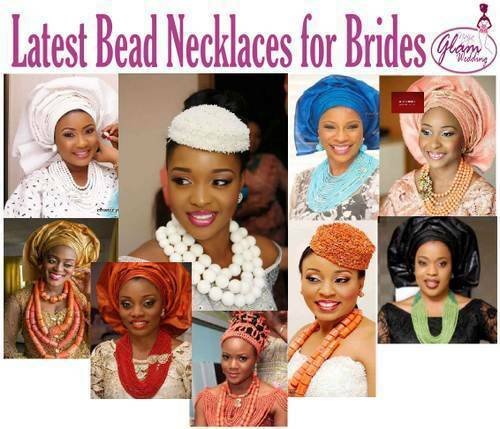 There you have it for our favorite designs and styles of Nigerian statement bead necklaces for brides to wear on their traditional wedding occasion. We know it’s easy to make wedding shopping mistakes, such as liking and buying every expensive shiny wedding thing, including beaded necklaces you see, but be sure to make a wedding budget first before doing any shopping. So, tell me, what type and colour of Nigerian beaded necklace are you likely to rock at your traditional engagement ceremony – the classic coral beads or pearl beads or which? Hello Rashida. Thanks for reading. We are a wedding website, and not likely to feature how-to video tutorials on jewelry beading. But just to help you out, I found these awesome videos for you (click). pls ma help me with d latest bead design video I really want to upgrade myself……..
Hello Esther, we will post more bead videos, so keep checking. Thanks for stopping by. I’ll try. Thanks for watching our featured beads tutorial video. Interesting article on Nigerian wedding jewelry. Just stunning jewelry. Thank you for sharing the videos. You’re welcome, Amy. I’m glad you like the beaded jewelry. Thank you, Tioke. Much appreciated. Hi Sheun, the above beads jewelry making tutorials are for beginners. But then, I suggest that you start off with one of the many bead making shops around you – so that you can see and learn face to face. You can later watch videos to brush up or improve on your skills. hi stella,please can you help me with details of where i can learn how to make beads in Nigeria?. There are so many places that teach practical bead-making in Nigeria. Most of the stores that sell beads and bead-making supplies (in any market) teach it – just ask them; in many cases, you will even see their students working inside/ outside the shops. Artsmith Collections also offers training once in a while – google him or see their contact above in the section titled ‘where to buy beaded jewelry’. 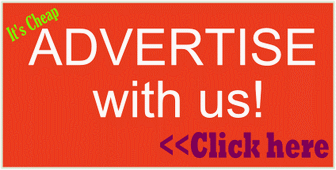 Most beadmakers and sellers on Facebook do offer training – ask them. You can find them in any market. Just ask around. Thanks. how can i get the bead making video and where can i train for the bead making in lagos, around ikorodu area. For a list of places that offer bead-making training, it’s towards the end of that post. Hi Nnenne. The videos are already on this page (scroll up). Also, I included a list of books on bead making styles. Scroll up – they are all there.